Founded in Zhangjiang Hi-tech Park. Registered trademark of lithography equipments was approved by SAIC. Acceptance of lithography under China 10th Five-Year Plan by Ministry of Science and Technology. Identified as High and New Technology Enterprises in Shanghai. Delivered the first advanced packaging stepper (SSB500/10A) to the customer. Identified as Innovative Enterprises in Shanghai. SSB500 series advanced packaging stepper was approved as National Key and New Product Planning Projects by Ministry of Science and Technology. SSB500 series stepper achieved initial overseas sales. SSB500 series advanced packaging stepper was awarded New Patented Products in Shanghai. SSB500 series advanced packaging stepper won the Gold Award of the 15th China International Industry Fair. Research project-Key Technology of Nano Precision Multi-freedom Motion System and Its Application won the 2nd Prize of National Technology Invention Award of 2012. The first domestic projection lithography SSB225/10 for 2.5G AM-OLED TFT was delivered to the customer and identified as National Key and New Product in 2014. Evaluated as the first batch of National Exemplary Enterprises of Intellectual Property Rights. Advanced packaging stepper team was selected as the Innovative Team in Key Fields for Innovative Talents Promotion Program of Ministry of Science and Technology. The innovative and research team won the Award of Advanced Collective of National Professional and Technical Talents. SMEE Technology Center was accredited as a National Enterprise Technology Center. Delivered China’s first IC front-end scanner to the customer. SSB245 high resolution projection lithography for flat panel display won the Gold Award of the 18th China International Industry Fair. Accomplished the joint-stock reform and was renamed officially as Shanghai Micro Electronics Equipment (Group) Co., Ltd.
Key Technologies Development and Application of FPD High-precision Patterned Process and Equipment was awarded First Prize of Shanghai S&T Progress. Immersion Lithography Key Technologies Pre-research Program was officially accepted. Selected as one of the first seven “Shanghai Quality” pilot units to develop quality standards. 90nm Step-and-Scan Lithography Demo passed onsite test by experts. SPA 200 Series Photo Alignment Equipment was awarded SILVER AWARD by the 19th Session China International Industry Fair. Delivered China’s first 6G high-resolution TFT lithography. 90nm Step-and-Scan Lithography Project passed formal acceptance. SSB500 Stepper was certified “Shanghai Brand”. 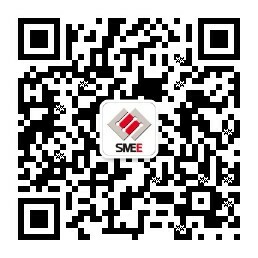 SMEE is one of the first group of companies that have been certified.